The self-cleaning option commonly included in newer Whirlpool oven models eliminates the need for spraying harsh oven-cleaning chemicals and scrubbing tough, stuck-on food. The feature heats the oven so it's much hotter than the baking or broiling temperatures, effectively burning those tough food spots into powdery ash. 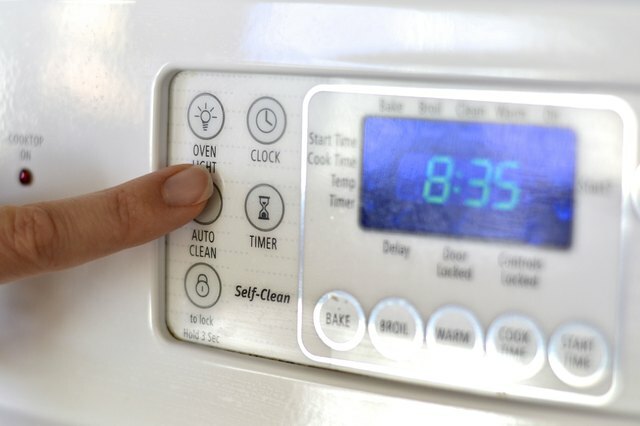 The self-cleaning options takes two hours for lightly soiled ovens, or up to four hours for heavily soiled ovens. Some Whirlpool ovens also have a steam cleaning option that uses hot water to soften stuck-on food so you can wipe it off. The steam option only takes about 20 minutes to complete. 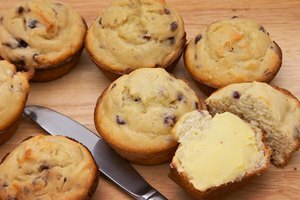 Remove everything from inside the oven and oven drawer, including any stored pans and the oven racks. While oven racks can be left in the second and fourth positions from the top during self-cleaning, they are best hand washed because the high heat discolors the racks and makes them more difficult to slide. Wash them in the sink with mild dish detergent and a sponge or a steel wool soap pad while the oven completes the self-cleaning cycle. 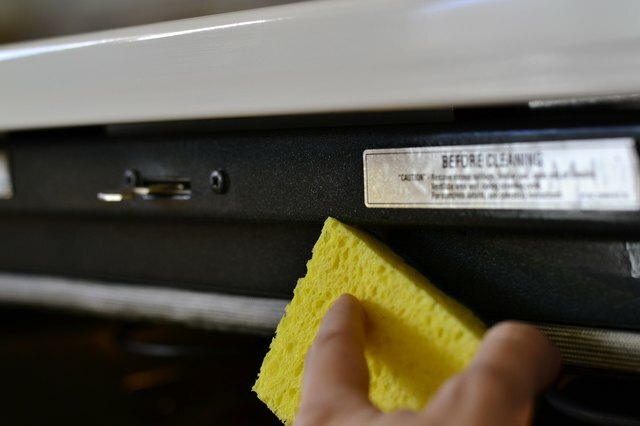 Wipe up any loose spills or debris inside the oven with a damp cloth or sponge. 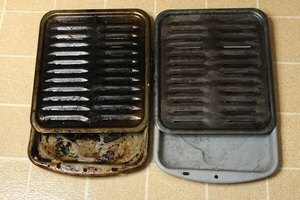 There is no need to scrub the oven, but removing this loose debris makes the self-cleaning easier. Clean the frame around the oven door and oven front -- the front-facing part of the oven that the door touches when closed -- with mild dish detergent and a sponge or a soapy steel wool pad. These features are outside the oven during the cleaning cycle and do not get hot enough for debris to burn off. Do not clean or otherwise disturb the gasket around the oven front, because this can damage the seal and affect baking ability later. Close the oven door securely. 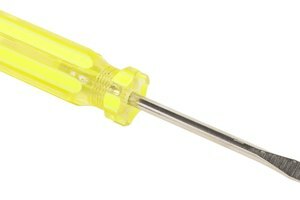 Remove any obstacles that prevent it from closing properly or the oven cannot lock for the self-cleaning cycle. 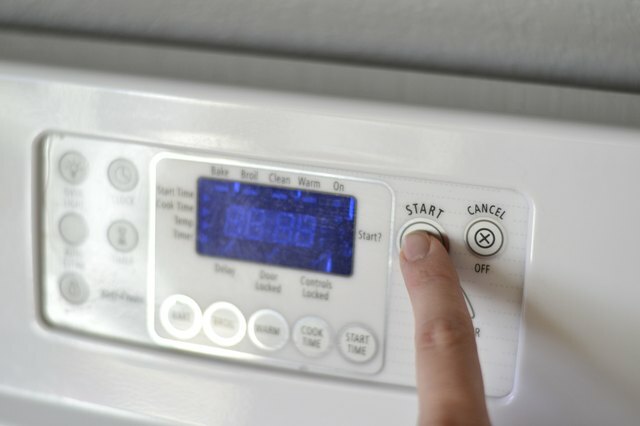 Remove everything from on top of the range, particularly anything that blocks the oven vent or is made of plastic. 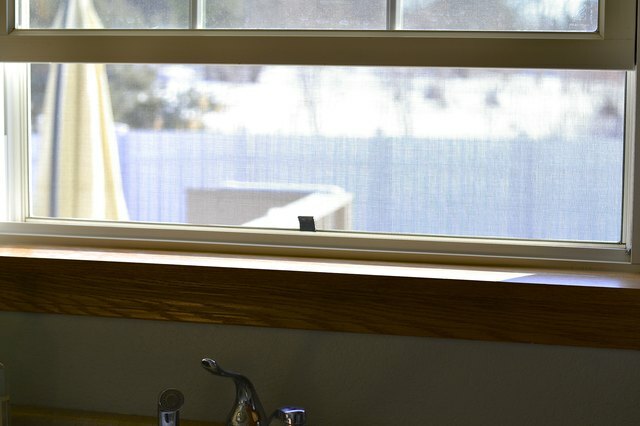 Open a window to vent the room, or turn on the exhaust fan above the stove. Press the "Auto Clean" button on the oven's control panel; the button might say "Precise Clean" on some Whirlpool models. 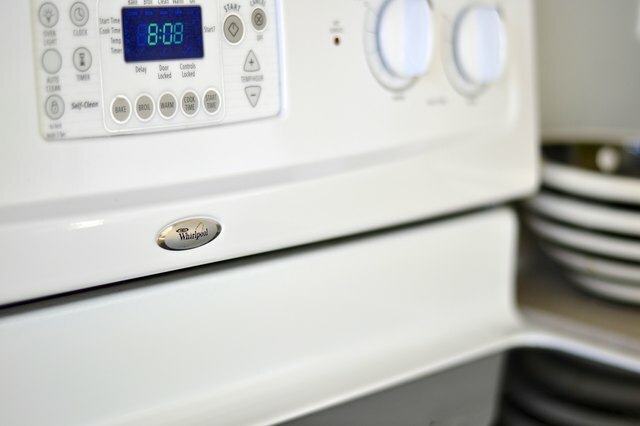 For double oven Whirlpool models, press "1" to clean the upper oven or "2" to clean the lower oven. The self-cleaning feature can only clean one oven at a time, with a mandatory 12-hour waiting time before you can clean the other oven. Press the "up" or "down" arrows on the control panel to adjust the cleaning time. 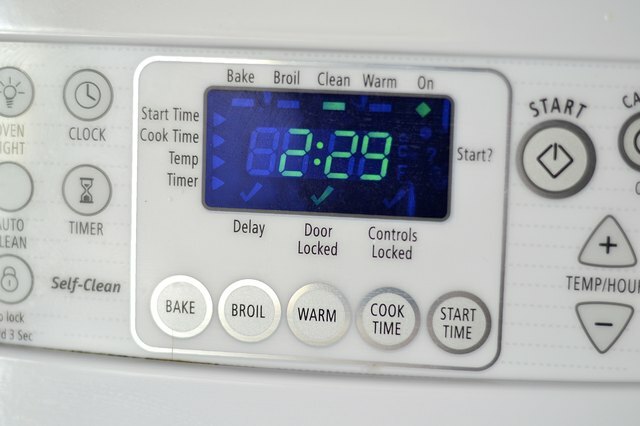 After making the oven selection, the display panel presets to an automatic self-cleaning duration of usually 3 1/2 hours for medium-soiled ovens. The shortest cleaning duration, for light cleaning, ranges from 2 to 2 1/2 hours, depending on the Whirlpool model, with an upper range for heavily soiled ovens of 4 to 4 1/2 hours. Some models also offer a delayed-time option so you can opt to start the cycle later, but set it for a selected cleaning duration. Press the "Start" button to begin the self-cleaning cycle. The door will lock automatically and should not be opened until the cooling period ends -- "Locked" lights up on the display panel. The oven cools down for the last 30 minutes of the cleaning cycle and unlocks at the end of the cycle. 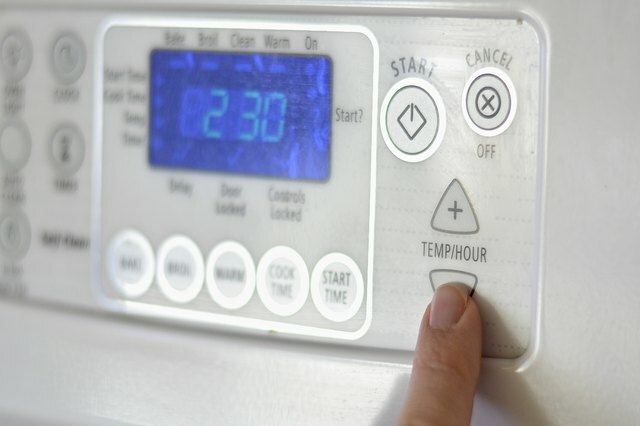 Allow the oven to cool to room temperature before attempting to open or touch the oven. Wipe out the oven with a damp sponge to remove any ash residue left from the cleaning process. If any stuck-on debris remains, scrub it with an abrasive steel wool soap pad. A mild-abrasive cleanser or a bit of oven-cleaner spray can help lift stubborn debris. Replace the oven racks and continue with normal use. 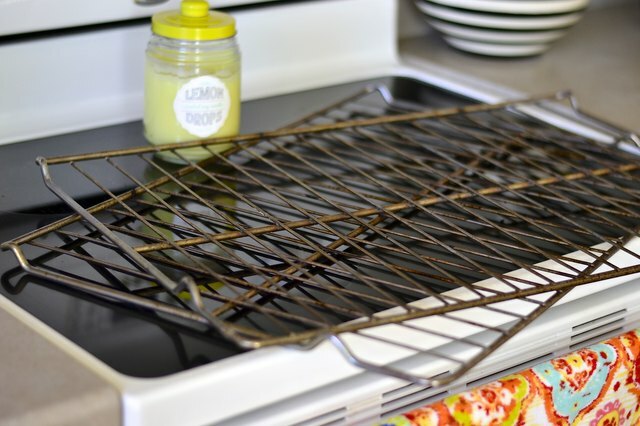 Remove the oven racks and clean them separately by hand. Clean the door frame and oven front by hand with a soapy sponge or steel wool pad. 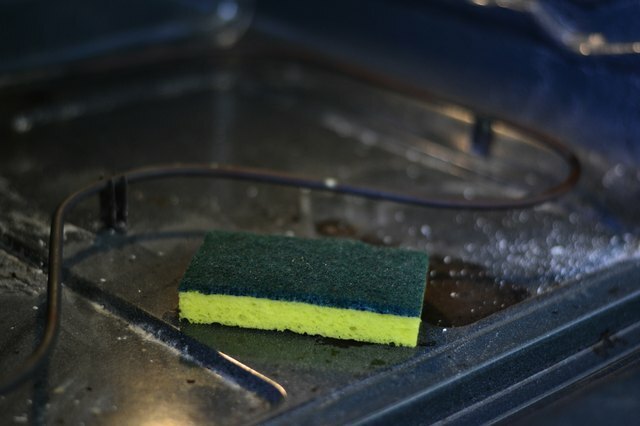 Wipe up any loose debris in the oven with a sponge. Press the "Steam Clean" button on the control panel. 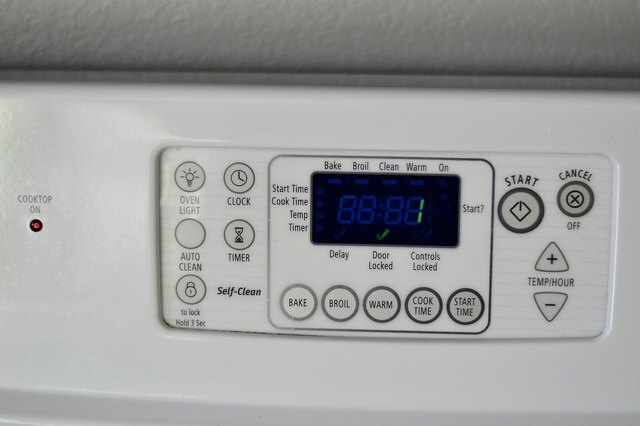 Press "1" or "2" to select the upper or lower oven in double oven models. Pour 4 ounces of distilled water into the bottom of the oven and shut the door. 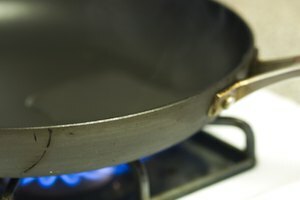 Distilled water works best because it won't leave mineral deposits on the oven surface. Press "Start" to begin the steam cleaning cycle. Wait for the beep to signal the end of the cycle, usually after about 20 minutes. Press "Cancel" to clear the display screen. Wipe up any remaining water from inside the oven with a sponge or cleaning cloth. Whirlpool recommends a nonscratch copper scrubbing pad to clean stubborn, stuck-on spots. Clean the oven three times annually if you use it infrequently, or roughly once monthly if you use the oven daily. If you prefer not to use the self-cleaning feature each time, spray the inside with oven cleaner; let it sit for two hours, and scrub clean with a wet cloth. 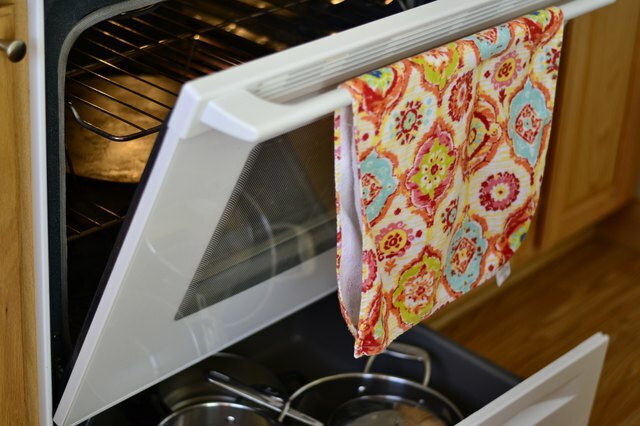 Place a baking sheet on a lower rack to catch any food drips from the baking dish above when you cook. 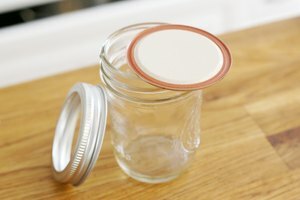 This reduces the buildup of food debris to help keep the oven clean.